The Mozilla Foundation has stopped developing a Windows 8 "Metro" version of Firefox because of a lack of users. Jonathan Nightingale, vice-president at Mozilla has issued a statement saying that in the months since, as the team built, tested, and refined the product, Metro's adoption had been rubbish. While there are millions of people testing pre-release versions of Firefox desktop, only 1,000 active daily users used it on Metro. 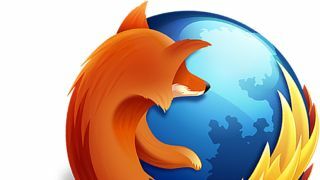 NetMarketShare and StatCounter put Firefox's aggregate share of the global browser market at between 17.7 and 19.2 per cent, which means that the browser has hundreds of millions of users for its desktop version. The "Metro" version of Firefox could be used on the tile-based Start Screen of Windows 8 to replace its built-in Internet Explorer browser. The news could be seen as another nail in the coffin of Microsoft's Metro interface which was supposed to be the next big thing. However, users indicated that they much preferred the old desktop version and stayed away from Metro in droves. Nightingale said that he had therefore decided to halt the release of a 1.0 version, because the organisation could not afford to devote time to projects with such small interest. He did admit that killing the product opens up the risk that Metro might take off tomorrow and Mozilla would have to scramble to catch back up, but that's a better risk for it to take than the real costs of investment in a platform users have shown little sign of adopting. Now read all about how Windows 9 could save Microsoft.